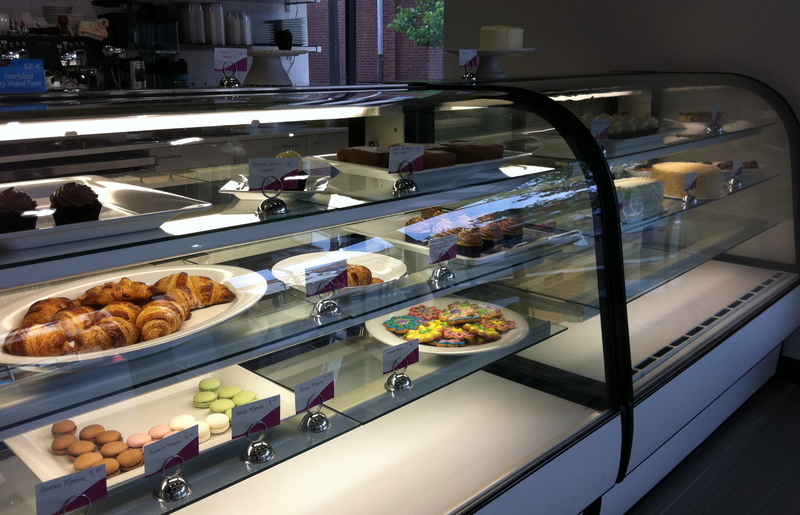 Sugar Fixe Patisserie | Oak Park, Illinois | dreaming of the next bite. In the darling “downtown” of Oak Park lies an apparently new bakery called Sugar Fixe. An inviting sign and storefront enticed me to come in for a quick dessert before I headed back to the airport. And boy am I glad I stopped. Inside was a case half full of eye candy: croissants, cupcakes and cookies mostly. A cupcake seemed like it would really hit the spot, so I checked out the options, which at the time were only vanilla creme, chocolate, and coconut. Of course I went for the coconut. I got it packaged and headed back to Prairie Bread to have a sandwich and kill some time. At first I was thinking okay, three bucks for a cupcake, this place might be a little pretentious and possibly a little full of themselves. I also questioned the frosting – it looked like a bit much for the size of the cupcake. Well if I had known what my tastebuds were about to experience, I would have bought the whole tray of cupcakes. This was the most delicious, moist, not-too-sweet wonderful lightly coconut flavored cake I’ve ever tasted, and the frosting was light, fluffy, again not too sweet, and such a wondeful coconut undertone, I thought I had died and gone too cupcake heaven. No joke. I am a lover of cupcakes and made sure to visit Magnolia Bakery in our last visit to NYC. It was nothing short of amazing – we tried the carrot cupcake and devils food cupcake and they were both divine, as was enjoying them in the middle of Grand Central Station. 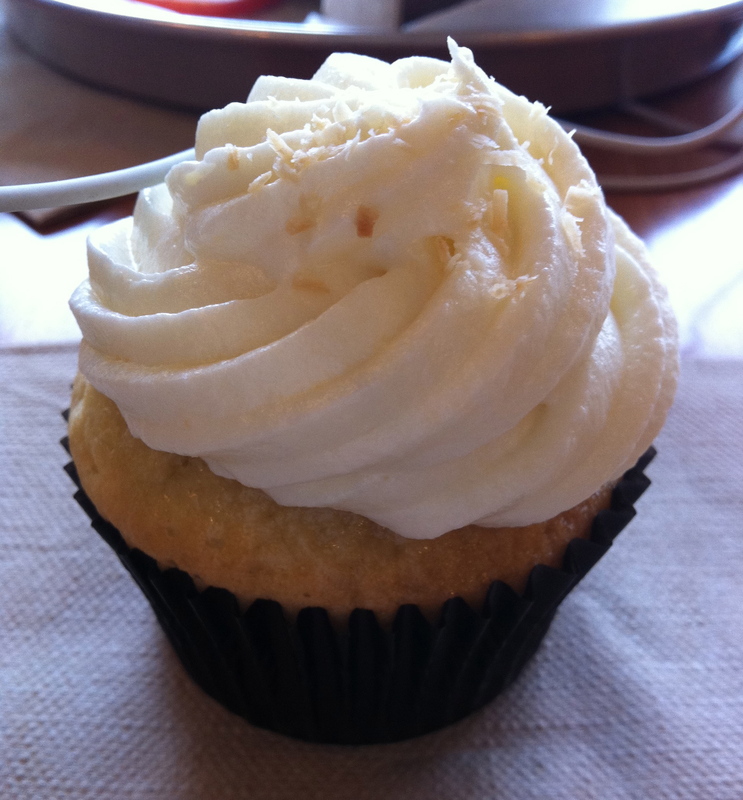 This coconut cupcake from Sugar Fixe could easily slide into the mix at Magnolia and fit right in. What a treat! This entry was posted in Oak Park, IL and tagged bakery, cupcake, dessert, one-and-only by Yvette (@foodiedreamer). Bookmark the permalink.